Giannoulaki Hotel is located in the peaceful area of Glastros, near Mykonos Town (Chora).The hotel is situated in a wonderful spot offering a spectacular view of the Aegean Sea and the sunset.Recently, a new 5-star wing was constructed with excess care and attention to detail, offering additional luxury hotel facilities which amaze every single guest, making Giannoulaki Hotel one of the most distinctive Hotels in Mykonos (Glastros area).Giannoulaki Hotel offers elegantly appointed rooms and lavish luxury hotel suites which will become your beloved summer retreat providing unique amenities.Indulge into our first-rate hotel facilities, rooms and luxury suites amenities, and let yourself be pampered by our efficient staff. 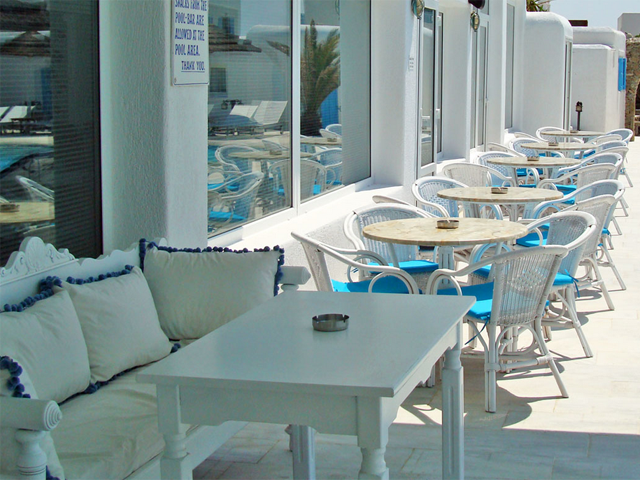 Giannoulaki Hotel is located in the peaceful area of Glastros, near Mykonos Town (Chora).The hotel is situated in a wonderful spot offering a spectacular view of the Aegean Sea and the sunset. Comfort and ample space are the key words to describe the rooms of Giannoulaki Hotel in Mykonos.All our rooms are tastefully decorated and fully furnished offering a plethora of superior amenities, ranking the Giannoulaki Hotel amongst the most distinctive hotels in Mykonos. 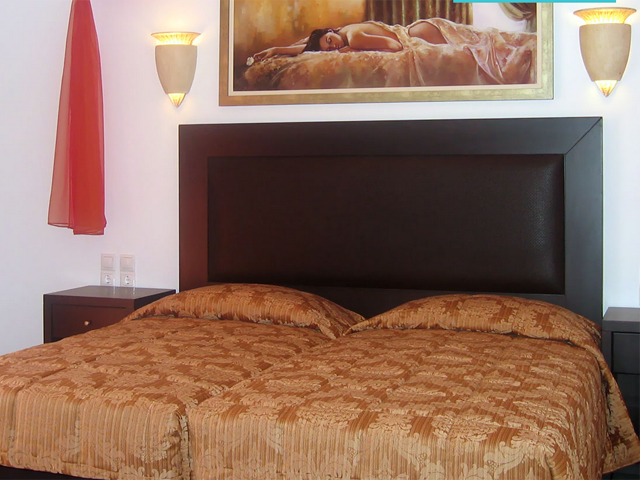 Baby cots are provided at the rooms of Giannoulaki Hotel upon request. 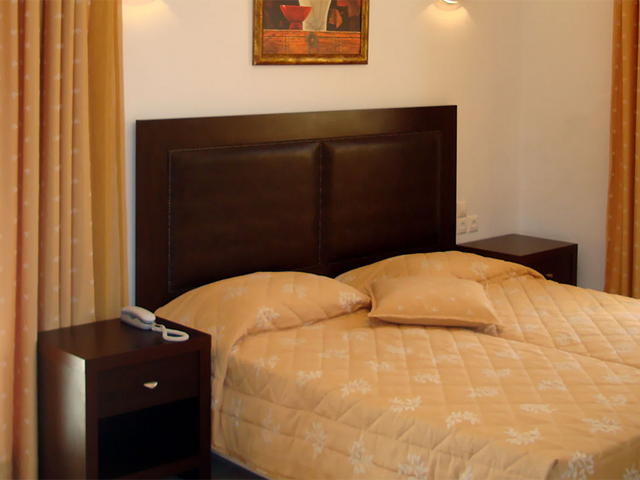 At Giannoulaki Hotel you will be delighted to discover spacious, sophisticated suites which have been artistically decorated and include high end amenities to meet all your anticipations and preferences and guarantee a relaxing stay. 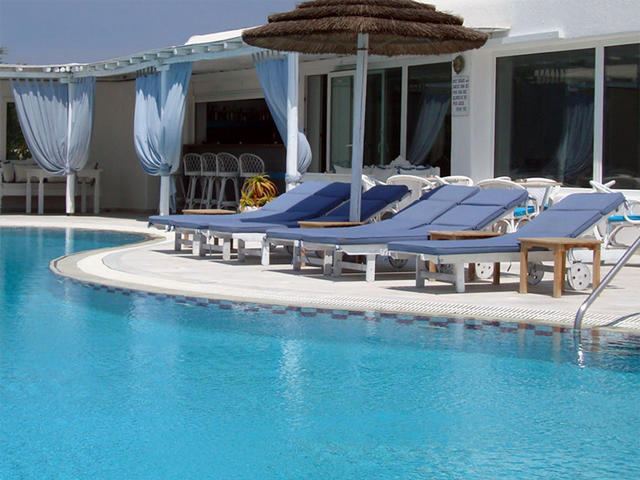 We created this comfortable Mykonos villa rental for those of you who seek a private, safe haven on your holidays, a place where you can enjoy your stay on Mykonos Island Greece with your friends and family. 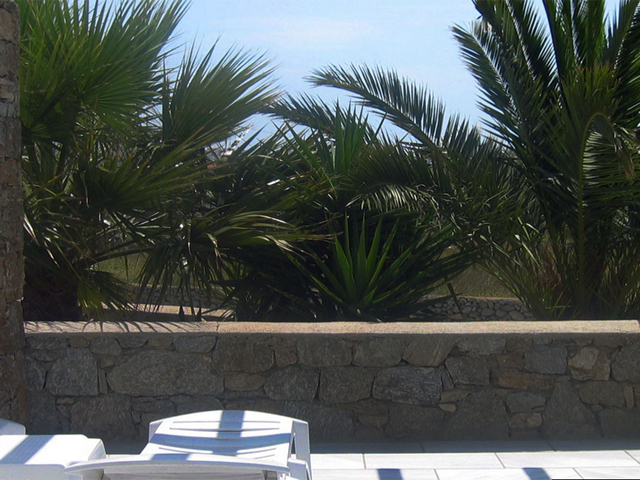 The fully independent villa which enjoys a 5-star rating is located on the Giannoulaki Hotel Grounds. It is constructed on one level and covers 120 m². 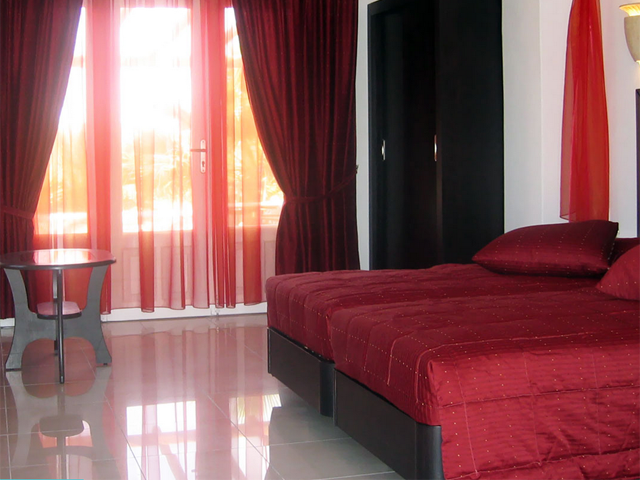 It features an open plan living – dining room– kitchen, as well as three bedrooms, each with its own bathroom. 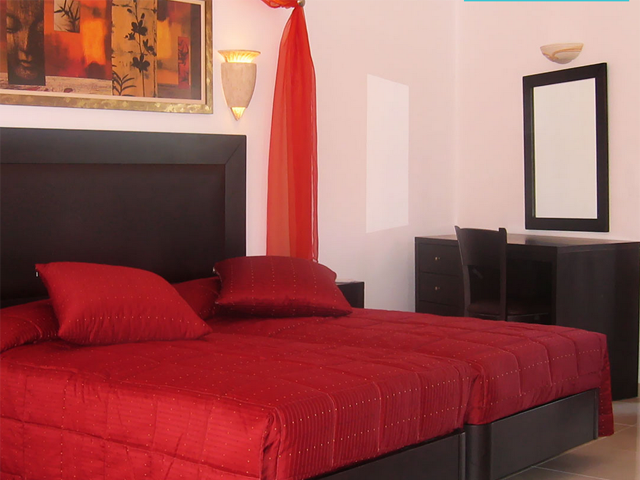 Each bedroom can sleep two people. 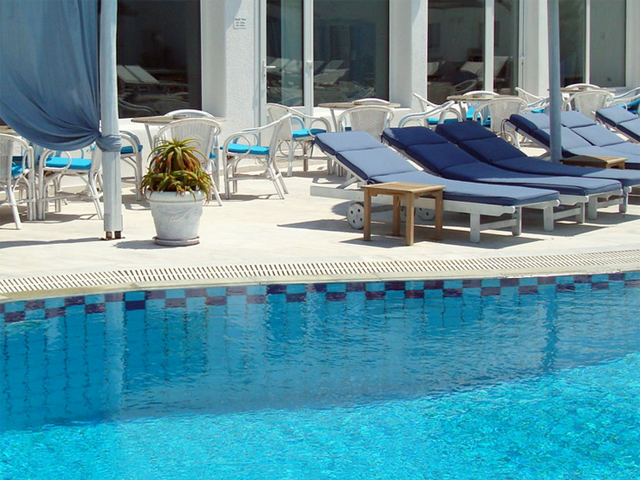 Not only can Villa guests enjoy the facilities of the private Villa, but they can also benefit from the Giannoulaki Hotel Facilities, free of charge. 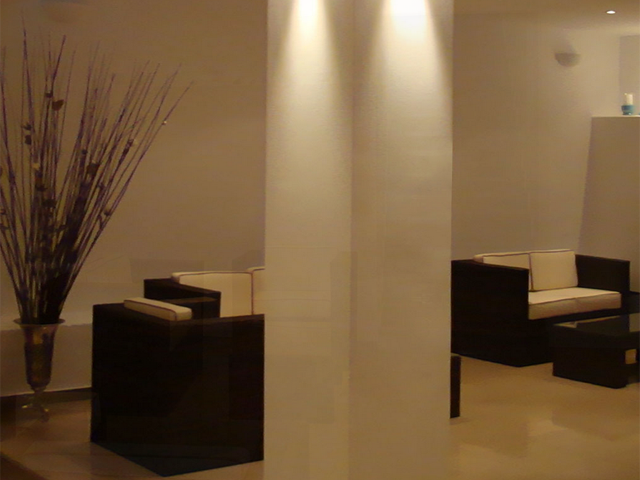 For more info, you can always talk to our well experienced and pleasant staff at the hotel’s reception area. They will be very happy to assist you with need or question you may have. 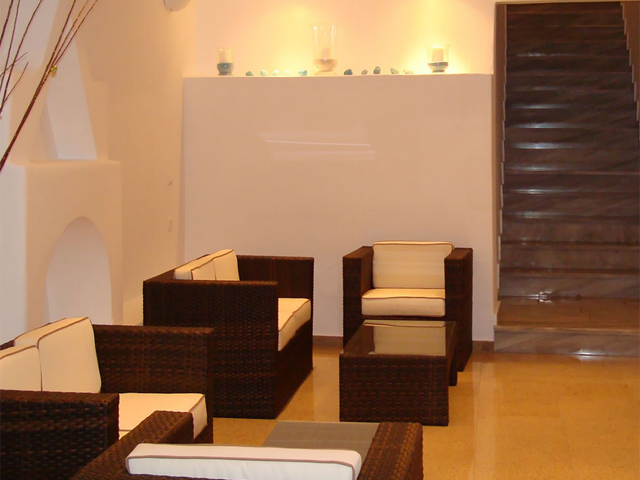 The reception area is situated inside the hotel and it operates on 24-hour basis. 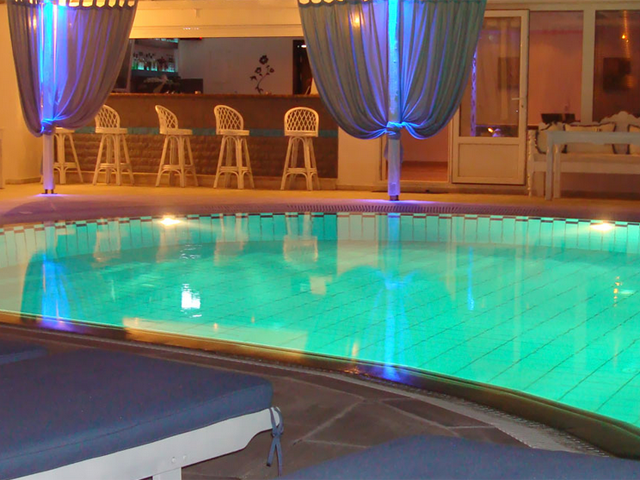 The hospitable management of Giannoulaki Hotel offers you a variety of organized hotel facilities and services that can be found only in the finest luxury hotels in Mykonos, providing both comfort and enjoyment during your vacation on Mykonos Island.The friendly staff will cater to your every need with painstaking attention giving you the opportunity to experience a memorable vacation in the intimate setting of Giannoulaki Hotel. 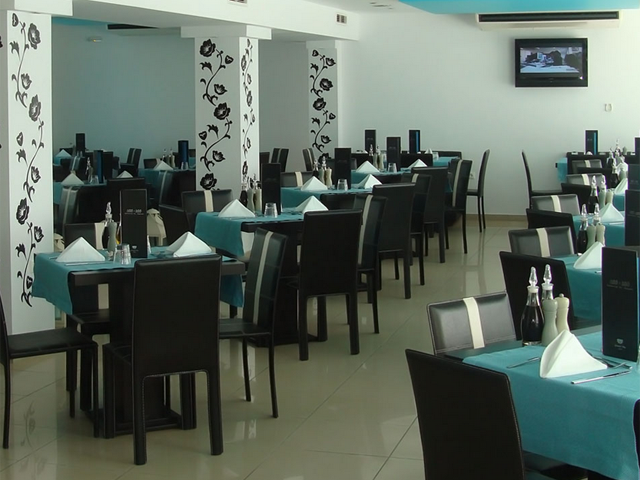 We are also available to organize weddings, christenings and receptions (capacity: 100 – 200 persons). 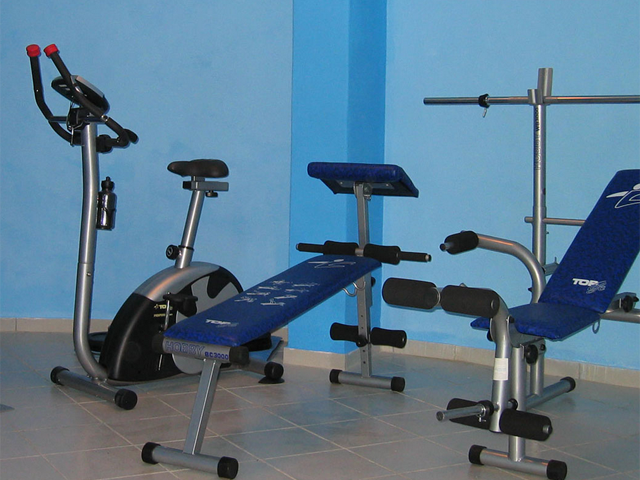 All Giannoulaki hotel facilities are air-conditioned and provide easy access to people with kinetic disabilities. The hotel also includes smoking and non-smoking areas. 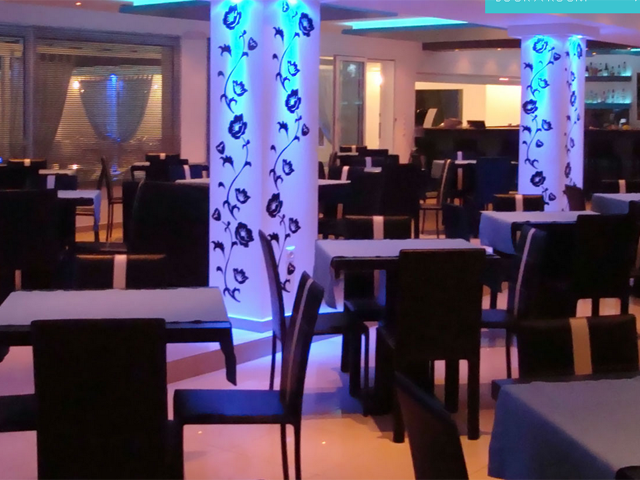 Noo - Noo Chill Out Café- Bar - Restaurant is a great place to relax, enjoy amazing long drinks and have fantastic meals, while gazing at the great pool view.Its lively colours and playful wall decoration creates an inviting ambience that will enthuse you. 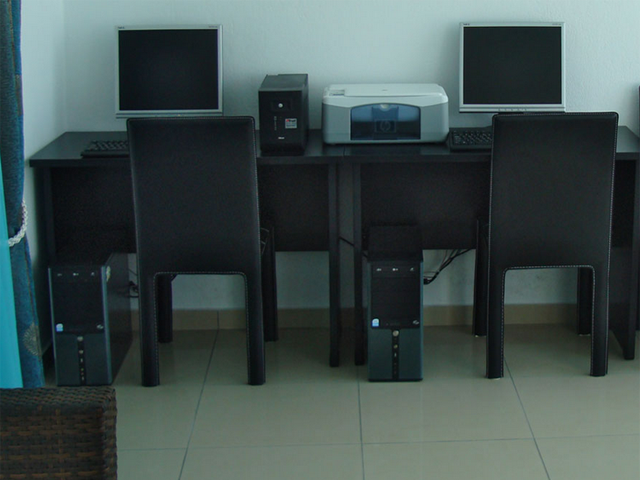 Noo - Noo Chill Out Café- Bar - Restaurant also includes an internet corner and a business center for those who need to keep in touch with their work while on holiday. Note: For Greek and Cypriot Passport holders, No Name change permitted. Book Early and Save Up To 40% !! LIMITED TIME !! Book Early and Save Up To 40% !! Free Cancellation!! Valid for the Arrival 25.04.19 - 30.05.19 !! Limited Number Of rooms !! Book Early and Save Up To 30% !! LIMITED TIME !! 31.05.19 - 30.09.19 !! Book Early and Save Up To 40% !! Free Cancellation!! Valid for the Arrival 31.05.19 - 30.09.19 !! Limited Number Of rooms ! !